If it hadn’t been for Iris’ Dutch Literature Month last year, maybe Lizzy and I wouldn’t even have thought of organizing a German Literature Month. 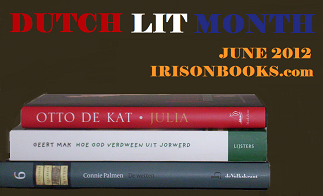 Who knows, in any case I enjoyed Dutch Literature Month last year and I’m glad Iris is hosting it again in June. Needless to say that I am joining. Details can be found here. I have a few plans for this year. One book I would like to read is Hedwig’s Journey by Frederik van Eeden. I’ve got a copy from Holland Park Press and it sounded very good. The first translation has been published in 1902. This edition is a revised new translation. Sample passages and a long description of the book can be found on the editor’s page. Here’s what makes me want to read it. Outwardly, Hedwig is a typical girl growing up in a well-to-do family in a sleepy provincial town. 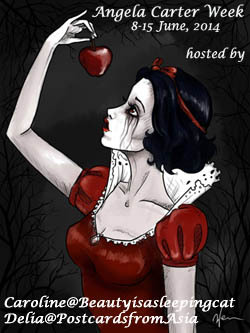 Inwardly, she feels things very deeply and has a strong sense of self, and can all of a sudden feel very depressed. Rudolf leaves his comfortable origins in Delft by ship for Java to help run the family’s estates there. He moves from plantation to plantation, attempting to understand the ways of the local peoples, their version of Islam and their relationship to their land. On a visit to the capital, Jakarta, he falls in love with a teenage girl, Jenny, who he courts surreptitiously via his sister, with grave consequences for the reality of their relationships. Eventually they marry, and make a hard colonist-couple’s life theirs, bear, lose and raise children, before Jenny on her visit to the home country discovers all the comforts of which she has been deprived in Java. 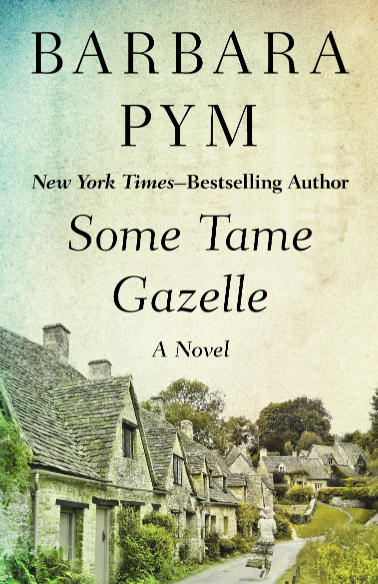 Back at the plantation homestead, as the back-breaking work of establishing and maintaining business takes its toll on Rudolf, Jenny becomes estranged from him, and the bitter resentments of relatives eat at her until a terrible solution is achieved. I have many other books on my piles. I might read another Cees Nooteboom this year, I still have a few I haven’t read yet. If you are looking for suggestions for Dutch Literature Month here is a post I did last year Dutch Literature Recommendations. How about you? Do you have your Dutch Literature choices ready? Are you in for Beryl Bainbridge Week? Caroline – I just wanted to say that while I just would not have time to join in on the reading months, your prolific reading schedule is inspiring to me! The themes, especially those focusing on various nations for a month are great. Please keep up the fascinating posts, which of course are partially the consequence of so much reading and participation in these different events. All these books do seem interesting. Perhaps when I retire in thirty or forty years I can will be able to get to more books! Thanks, Brina, I’m glad it inspires you. Cees Nooteboom has written some short novels, are you sure you dond’t want to try one in June. I think he is one of the best Dutch writers and one of the finest in general. You know it is all in the timing for me as it would be difficult if I were in the middle of something else. I am looking a calendar and June is a little ways off. Maybe I can even do one of the longer books. I just need to get through a voluminous biography of Alexander Hamilton that is now my main project! I understand, I don’t like to rush but I have stayed away from longer books for quite some time, precisely because of that, it would be too much pressure. My first reaction was to think I don’t own any Dutch books, but I bought a Nooteboom after last year’s Dutch month (and your post). As for Bainbridge, I can’t pass up the opportunity as I’m a die-hard fan. I love Nooteboom. He is one of the finest writers. I glad I still have a few I haven’t read yet. I was thinking of you when I saw Beryl Bainbridge week. I thought at first I cannot join because my own readalong book for June is very long but hers are rather short, so it should be feasible. I’ll aim for both Dutch and Bainbridge, but if time is short, it’ll be just Bainbridge. Some of Nooteboom’s books are quite short as well. Wonderful reading festivals, Caroline! I am tempted to join Dutch Literature Month, because I have never read a Dutch book yet. Let me see whether I can join. The name Hedwig reminded me of Harry Potter’s owl 🙂 I love the cover of ‘Hedwig’s journey’. Looking forward to hearing your thoughts on it. Happy Reading! Thanks Caroline. I will read your list of recommendations and I will also check Iris’ blog. Thanks for recommending Cees Nooteboom’s ‘Rituals’. I will look for it. It is sad that many Dutch books are not available in English translation. Envy you for being able to read them in German 🙂 Can you read Dutch also? I have learned Dutch adn for a while it was quite good but I hardly ever use it. I thought I’d like to read a Dutch book in Dutch this year but the author I have in mind hasn’t been translated into English (Jessica Durlacher). I’m not sure now…I also have copy of Leon de Winter’s short stories in Dutch. I’d like to participate in Dutch Lit Month. I don’t think I’ve ever read any Dutch literature before so I want to look at your list of suggestions and see what appeals to me. Hedwig’s Journey sounds interesting. That’s great. I’m sure you will find something you would like. I think Iris has reviwed a lot as well. They have many really great writers worth looking into. I’m very curious to see how Hedwig’s Journey will be. It could be excellent. I’m am definitely joining in for Bainbridge week but already have too much going on for Dutch Lit Month. I would like to read Nooteboom sometime soon. I’m looking forward to see which Bainbridge you will pick. I’m sure you would like Nooteboom. And how about The Hose of the Mosque? That could be a book for you. I won it last year during Dutch Literature Month but forgot to include it. Iris wrote a review. Thanks for the suggestion, Caroline! You are welcome. I really think it would be something you might like. Sure. I’ve been wanting to read Harry Mulisch, so this will provide a great excuse, plus I have a stack of Beryl Bainbridge I picked up at a book sale last year, so that will be a great excuse too. I’m glad you will join. I wonder what i was thinking when I wrote this post…. Of course… Mulisch, I just bought The Assault. I read Mulish last year (not for the Dutch month – I don’t remember seeing that to be honest) and I have Keilson and Bakker’s new book on the shelf. So I’ll try to fit one of those in at the right time Caroline. I nearly bought Nooteboom’s The Foxes Come At Night a while ago as well, it looks really interesting. And thanks to self-confessed Bainbridge die-hard Guy, I finally got The Bottle Factory Outing so I’ll join you for that one as well hopefully. That’s great, leroy. Let me know if you need a space to post a review. I’m sure I can fit you in – but there is no need if you don’t want to. Keilson – another one I’ve got. There is actually a lot to choose from. I’m not sure which Bainbridge I will choose but it’s most certainly thanks to our die-hard fan that I’ve discovered her as well. They sent it to me a while back and I was thinking of reviewing it in June. I certainly will read the one or the other Dutch book but I’m not yet sure about Bainbridge. I do not want to squeeze her in. I’m not sure I’ll be able to join these events, although I’m tempted. What I’m sure of is that I’m not reading Hella S Haasse again. But there are still some slim Ceesboom novels available and you liked Rituals a lot. Our die-hard fan has certainly spread the word. 🙂 I haven’t decide which one I will pick but I will read one. All the writers I?ve read so far were rather unusual but I think you’ve read them all. Connie Pelmen would be worth a try if you don’t know her yet. I’m going to join in for the Hella Haase readalong – she’s someone I’ve long been meaning to read. I was sorry to miss Dutch literature month last year and glad that Iris is going to run it again. Alas, I cannot bear Beryl Bainbridge. Her books make me feel genuinely queasy! I remember you saying this about Bainbridge. I’m nit sure about the Haasse. I have it here and browsed it a bit. Some of it feels a bit heavy-handed. Thank you so much for spreading the word about this Caroline! I just wanted to say that I just finished my first Connie Palmen and I can’t believe I hadn’t read her before! I hope to read Rituals bu Nooteboom too. But at least I read his The Foxes Come At Night for this year. You are welcome, Iris, I have been looking forward to this all year! I’m so glad you liked Connie Plamen. I’m looking forward to the review. I really think she should be better known. unfortunately I only have books left which have not been translated into English. I think I know a lot because many writers are translated into German, many published by Swiss editor Diogenes or German Suhrkamp Verlag which are two of my favourite editors. Judging from the response, this year will be even more successful than the last.